OZYWALKER had the most liked content! Used garrett gen1 gtx3582 supercore. Doesn't look pretty but has no issues. Always had a filter in the oil line. Needs a new npt barb because I used the one that was in it. Make an offer or I'll happily exchange for a few cases. Not posting it but may meet somewhere half way. Located in western Sydney. That is what I reckon. 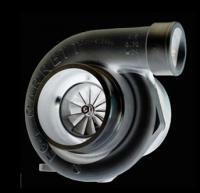 Turbosmart sell it as an xr6 turbo item and people go slap them in not even bench testing it to set the preload properly. Standard job gets standard result. Now that you mention it it is. Leave it for your mechanic. Not his best but different from most other stuff. Adjust the preload. If that doesn't drop it enough change the spring to a lower rated one. Chances are it's a 12psi unit which has a 5 and 7 psi spring in it. Who wants a cheap gtx3582 supercore? Pm me, would rather not post it.